BAKER, Alice Mae, age 87 of New Carlisle went to be with her Heavenly Father on Friday, February 8, 2019. She was preceded in death by her husband Peter Baker, parents Perry and Maude Cottle, and brother Perry Cottle Jr. She is survived by her sons Steve (Norine) Baker, Michael (Lora) Baker, Larry “Joe” Baker,daughters Peggy Baker, Pamela (Bryant) Marcum, Sherri (Cliff) Knisley, and Kim Lewis, 14 grandchildren, 26 great-grandchildren, and brother Jimmy (Naomi) Cottle. She was a member of Northridge Free Will Baptist Church. 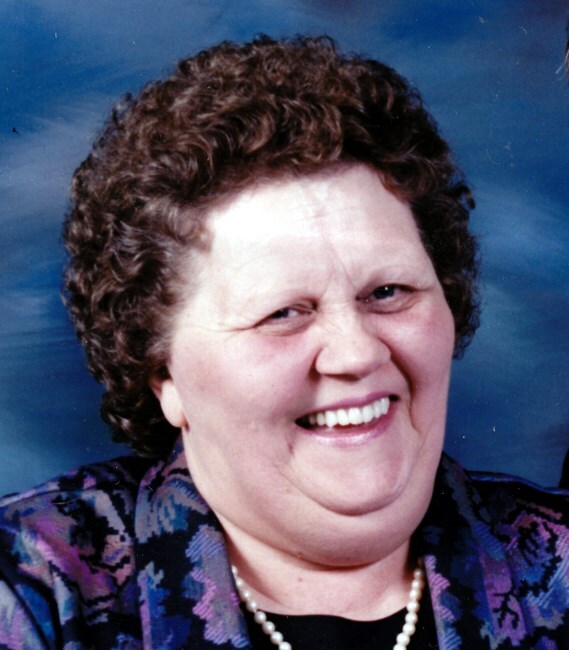 Alice Mae was a loving mother, grandmother and great-grandmother. She will be greatly missed. Funeral services will be held at 11 am on Thursday, February 14, 2019 at the Tobias Funeral Home – Beavercreek Chapel, 3970 Dayton-Xenia Rd. at Grange Hall Rd. with interment to follow in Forest Hills Cemetery. The family will receive friends at the funeral home on Wednesday, February 13 from 6 pm – 8 pm. www.tobiasfuneralhome.com.